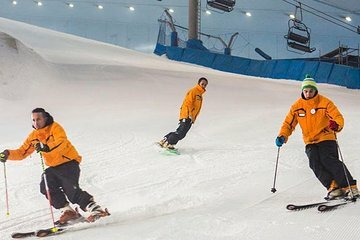 Beat the heat with unlimited, day-long admission tickets to Ski Dubai, the world-famous indoor skiing park located in the Mall of the Emirates. Test out five different slopes and other on-site rides and activities, including bobsleds, an ice cave, a climbing wall, and more. You can even build your own snowman. Gloves, winter jackets, and snow boots are included.